Most people know that they should brush and floss their teeth at least twice a day for good oral healthcare. However, they may not always know the best way to go about it. This is just one reason that we at O.C. Dental Specialists decided to create a series of dental videos. Whether you’re an adult looking to improve your oral healthcare routine or you want to show your children how to brush their teeth, these videos will help. You will also notice the Other category, which includes dental videos on Amalgam Fillings, Dental Filling Materials, and Night Guard. If you’re like most people, you have at least one thing about your smile that you would change if you could. Perhaps some of your teeth are stained yellow, you show too much of your gums when you smile, or you’re missing a tooth. We use a tool called the smile analysis to help identify potential issues. From there, your dentist will create a treatment plan to specifically address it. Cosmetic issues with your smile affect you more than you realize. If you’re tired of the lack of confidence you feel from holding back your smile, don’t hesitate to schedule a smile analysis at O.C. Dental Specialists. 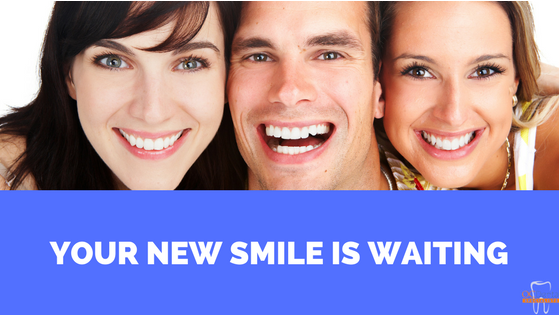 Your new smile is waiting.